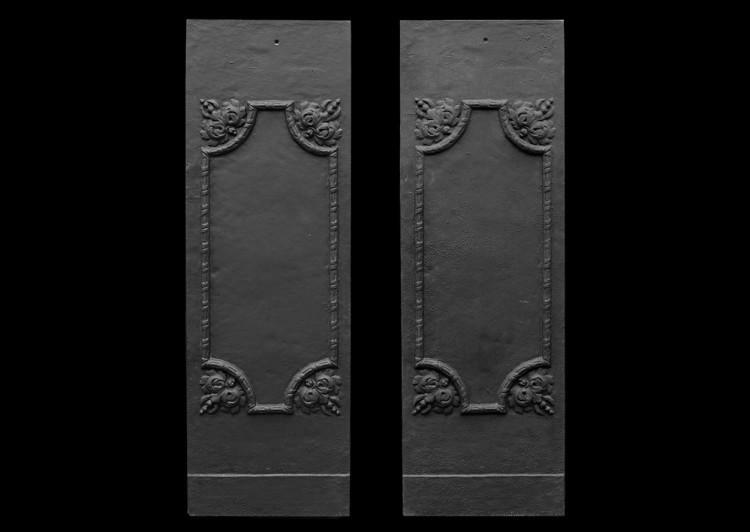 A pair of cast iron interiors with delicate moulding and floral motifs to corners. Stamped by Thomas Elsley. (Dimensions of pattern – 34.75″ high x 15″ wide). Very tall so good for high opening, or could be cut down if required.